You may see cardio and weights as two distinct types of exercise, but when you put them together, you have the most powerful combination for fat loss success. 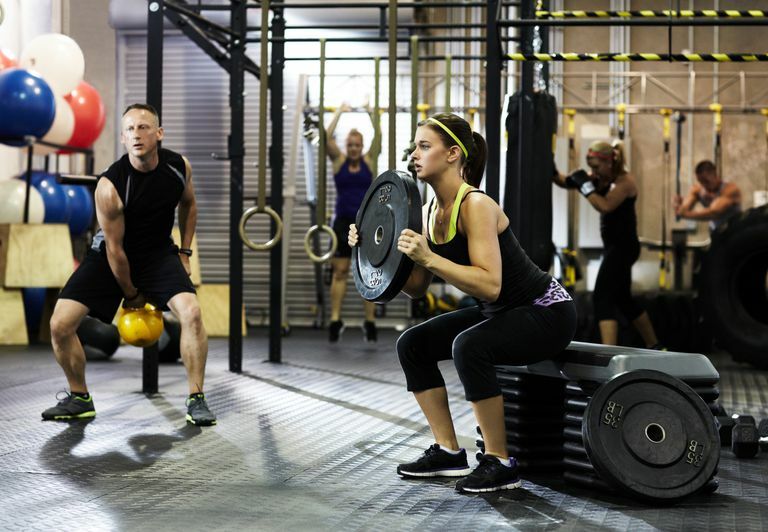 One of the perennial questions about exercise for weight loss (fat loss) is whether to concentrate on aerobic exercise (cardio) or weight training and resistance exercise. Let's settle this right up front: You should do both, concurrently, for the best outcome. It makes sense, and it is what most healthy people do to get a lean body with muscle definition. Scientific studies pop up from time to time showing a certain level of fat loss with cardio versus weights—and for the most part, cardio outperforms weights in any reasonable comparison. There is no secret to this because continuous movement at a reasonably demanding intensity and volume will always outperform intermittent exercise, even at high intensity, and even accounting for the afterburn. Ultimately, you need to do both. Here's how it works. Strength and resistance training builds muscle. Muscle has a higher metabolic rate than fat so having more muscle raises your resting metabolic rate (energy expenditure) a little compared to having more body fat. However, the differences are not dramatic. Even at the high end of predictions (which are disputed), it is less than a few dozen calories per day for each pound of muscle increased. That helps, but it's not life-changing. Even so, in a weight loss program, weight training is important to help maintain muscle. When you lose weight it tends to be a combination of fat and muscle. You want to lose the fat but hold onto the muscle for the reasons described above. Weight training helps you achieve this, and has many other benefits for health and performance, besides building extra muscle. If extra muscle does not provide that much advantage in energy expenditure, what about the afterburn, long touted as an advantage of weight training? The afterburn, is the amount of energy you use after you stop exercising. This is another way of saying your metabolism increases for several hours or longer after an exercise session. Exercise scientists call this afterburn effect EPOC, which stands for excess post-exercise oxygen consumption. The thing is, afterburn happens when you exercise at higher intensities—greater than about 75 percent of maximum heart rate—whether it's weights or cardio. However, you need to be able to sustain that intensity, which means a lot of hard work. The main advantage of aerobic exercise at moderate intensities is that you can do it continuously for much longer than the intermittent exercise of lifting weights. It is this non-stop movement that gives cardio an inherent advantage in energy expenditure during an exercise session. You can mix weights and movement in circuit training sessions to provide that extra boost, but movement is the key. If you move fast enough to the point where you are running or cycling at around 80 percent of maximum heart rate, you will get some afterburn as well. That's why most comparisons show cardio to be superior to traditional weight training for energy expenditure. Cardio is the best exercise for cardiovascular and cardiorespiratory (heart and lung) fitness. Use these five guidelines to build your exercise and weight loss workout program and lose fat. Increase muscle with weight training. Extra muscle helps to burn more energy at rest, even if only a little. Lift heavier weights. The weights workout should be vigorous, with the number of repetitions kept at the low to medium end of the scale between 8 and 12 repetitions. (The RM is the repetition maximum, which means the most weight you can lift for this number of reps before fatigue.) If you go higher than this, say 15 to 20 repetitions to a set, or more, you are getting into the range where you would probably be better off doing cardio because the return on effort, the energy burn, is better spent jogging, cycling, stepping or rowing. At that number of repetitions, you won’t build much muscle either, so very high-repetition training with weights has minimum value. Combine resistance training with continuous movement in a circuit training program or a similar anaerobic training program in which you work out on progressive workstations at a moderately high intensity. Do regular aerobic exercise of your choice, with jogging and cycling preferable to swimming or walking for maximum calories burned in shorter time. Considering how much energy you would use in an hour of either static weights or cardio, you must do some consistent aerobic or cardio work to burn fat. Try alternating weights and cardio days for six days each week. Do high-intensity cardio for shorter elapsed times, or try high-intensity interval training. High-intensity exercise, even if only in short bursts, may rev up the metabolism and get that fat mobilized in the post-exercise period. However, don’t overdo it, because burning fat is a long-term project and you don’t want to get ‘burned out’. A group exercise program such as a cycle spin class might match this requirement. The standard advice is to do cardio and strength workouts in separate sessions or on alternate days. A sample program would have cardio workouts on Monday, Wednesday, and Saturday, strength training on Tuesday and Friday, and use Thursday for yoga, stretching, or recovery. Or, you can do your cardio in the morning and strength training later in the day. If you are concentrating on building strength, this allows you to work on your upper body one day, then your lower body the next, most days of the week. But if you have trouble making time for exercise each day, combining cardio and strength workouts in one session is an option. There have been studies and debate over whether to do cardio first, followed by strength training, or vice versa. There isn't conclusive evidence for an advantage of one sequence over another, whether your goal is aerobic fitness, fat loss, muscle hypertrophy, or gaining lower body strength. It may be best to not overthink it and just do it in the order that appeals to you. A 2018 review of studies found doing strength training first might be better for lower-body dynamic strength, but there was no advantage in either sequence for aerobic capacity, body fat percentage, muscle hypertrophy, or lower-body static strength. If you are primarily interested in running or general fitness, doing cardio first when you have fresh legs allows you to make the most of it and burn calories and fat. If you refuel well with fluids you can still have a strong weights session after your aerobic section. For best weight loss success in your exercise program, combine weights and cardio and a little high-intensity interval training when you get fitter and you can manage it. That's the success secret of exercise for weight loss. Eddens L, van Someren K, Howatson G. The Role of Intra-Session Exercise Sequence in the Interference Effect: A Systematic Review with Meta-Analysis. Sports Med. 2017;48(1):177-188.